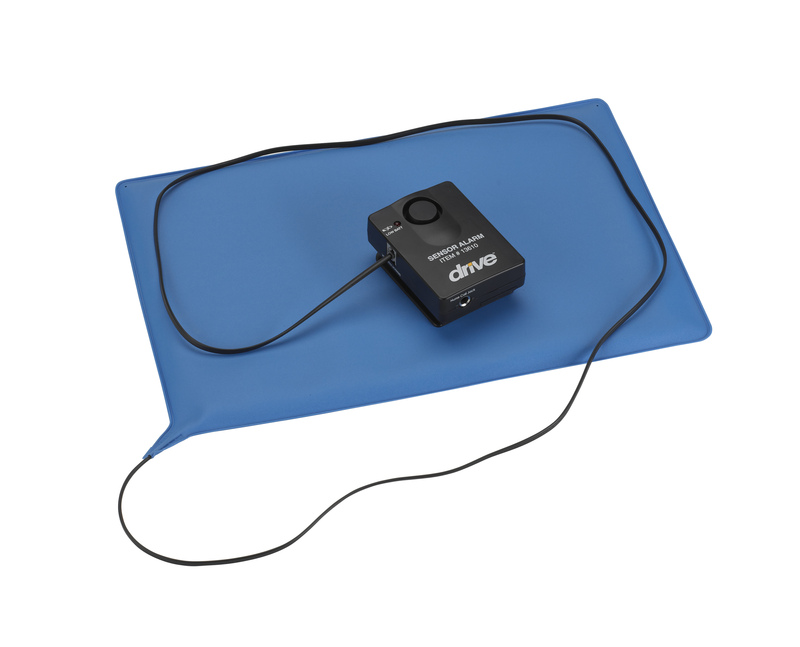 This pressure-sensitive bed or chair alarm with reset button by Drive Medical alerts caregiver whenever a patient rises from a chair. The pressure-sensitive pad connects to the audio alarm which features a safety alert On/Off switch and low battery warning. Four AA batteries are included to operate the alarm (Available with or without a reset button and a chair or bed sized pad).